Hours are subject to change throughout the week based on each doctor’s schedule. Phone calls left after 2:00 PM each day will be handled the following business day. 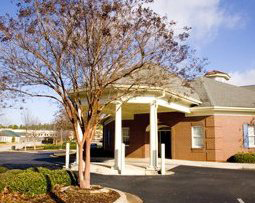 We know you have many choices when choosing an otolaryngologist in Huntsville, AL, so we have made requesting an appointment a simple process via our web site. If, for any reason, you cannot keep a scheduled appointment or will be delayed, please call as soon as possible. Charges may be incurred for appointments cancelled less than 24 hours before scheduled appointment time. We participate with most major insurance carriers and will file claims for services rendered. Co-payments are to be made at the time of service. We make every attempt to assist in resolving differences arising over a claim of delay in payment. But, your insurance contract is between you and your insurance carrier. We do request that you also be involved in any disputes. All accounts must be paid within 90 days unless suitable arrangements are made. If you have questions about a statement or insurance billing, please call the insurance department at 256-881-4844. Keep your receipts for insurance and tax deduction purposes. Duplication of records for insurance purposes or otherwise is costly in personnel time and equipment use. It is hoped that this webpage will provide some answers to routine questions about our practice which may make most telephone calls unnecessary. Our telephone policies are meant to allow the physician to care for patients with a minimum of interruptions to answer necessary questions and take care of urgent problems. Most messages can be handled without speaking to the physician directly. Emergency calls will be handled immediately. Calls which are less urgent, may be handled immediately by our staff or the call may be returned at a time when we are less occupied and may review your medical chart. It is best to make telephone calls about non-emergencies during office hours, preferably in the morning. Non-urgent phone calls received after 2:00 pm may be returned the next morning. PRESCRIPTIONS AND REFILLS ARE ISSUED DURING OFFICE HOURS ONLY. During the evenings and weekends, it is difficult for a physician to determine if a prescription or refill is indicated when he does not have your medical records in front of him. Calculate in advance when you may need a refill. The best method of resolving a prescription refill issue is to have your pharmacist call our office. When hospitalization or surgery is required, this office will make arrangements with the facility for your admission. We only operate on certain days of the week. Should surgery be necessary our scheduling coordinator will contact you with the available dates. In the event of an elective admission for surgery, the hospital will normally contact you sometime prior to your admission date to obtain further personal and insurance information. Should it be necessary for you to change your plans in regard to a surgery, please contact our office rather than the facility.